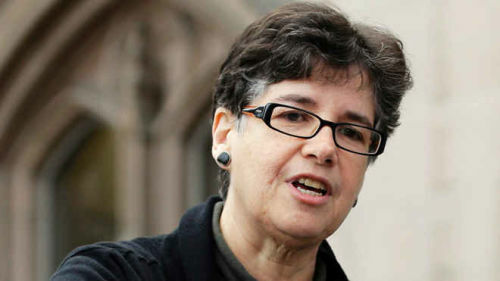 SEATTLE (AP) – The University of Washington Board of Regents on Tuesday chose Ana Mari Cauce to be the school's next president, making her the first woman, first openly gay person and first Latina to hold the job permanently at the Seattle-based institution. Cauce had been interim president since March after Michael Young announced he was leaving UW for Texas A&M University. "This is really less about me but about us," Cauce told the regents. "You have confidence that we are moving in the right direction." She was chosen after the university spent $100,000 to conduct a nationwide search that found scores of candidates. The regents voted to offer the job to Cauce a day before she was scheduled to give the president's annual state of the university speech. Cauce, 59, joined the UW faculty in 1986 as an assistant professor of psychology and rose to become the university's provost and executive vice president before being named interim president. She plans to continue teaching and said her work as university president has many things in common with sitting in front of a classroom. She taught a freshman seminar on leadership this past spring and says she has never gone a year without teaching in the three decades of her university career. The choice of Cauce was met with enthusiasm from faculty and students, who crowded the regents' meeting room and lined the walls to cheer their decision. She said her goal is help people see the university through her eyes, acknowledging that she is not the typical middle age, male university president in a suit. "We take kids of modest means and propel them out into the universe," said Cauce, who had always wanted to be a teacher and didn't really imagine becoming a university president, even eight months ago. Born in Cuba, she left the country with her family during the revolution when she was 3 years old. Her father had been minister of education in Cuba. Cauce earned her doctorate in child clinical and community psychology from Yale University in 1984. She has held numerous leadership positions at the university, and she has served as UW's chief academic officer or provost for three years. During her seven months as interim president, she supported a legislative decision to lower university tuition, adopted Seattle's $15 minimum wage initiative even though some felt UW should be immune to the Seattle ordinance, announced a plan to expand childcare on campus, finalized a new innovation exchange with Tsinghua University in Beijing, China, and has spoken eloquently about diversity, racism and homophobia. At the dedication of the university's new Native American longhouse, Intellectual House, Cauce spoke of her own experiences with prejudice and why it has been difficult for even a place as liberal as Seattle to move beyond racism. "Sure there are horrible bigots and people who spread hate, and the world would be a better place if we could stop them," Cauce said. "But racism and those other 'isms' are about something more profound. They are inside all of us." Historic and cultural racism that is passed down over generations is more subtle and harder to fight, she said. It can't be willed or ignored away. "We have to become culturally aware and self-aware," she said. Her speech kicked off a new race and equity initiative at the university. In addition to being the University of Washington's first woman president, Cauce will be the university's first openly gay president. "Dr. Cauce is an outstanding choice — a longtime Husky with a deep commitment to UW, its mission, and its students," Gov. Jay Inslee said in a statement.